Breaking up Continental is an old idea, but investors had begun to wonder if it would ever happen: even as suppliers such as Delphi Technologies and Autoliv announced they were doing the splits last year, the German behemoth didn't budge. Now Continental is talking to advisers about a major overhaul, according to Bloomberg News. Those discussions could result in Continental creating separate listings for some of its businesses, possibly under a holding company. Bankers won't be short of suggestions about how Continental could unlock value from the company's sprawling portfolio. The fact the shares jumped as much as 8 percent following Bloomberg's report on Tuesday suggests minority shareholders wholeheartedly agree. That jump has already made anchor shareholder the Schaeffler family more 1 billion euros wealthier. Yet, oddly, it's them who may yet take more convincing. Continental is pearl of German industry, but it's something of a mixture. Some investors own it because it's a leader in autonomous driving systems. Then are others who admire its tire business -- not as exciting as driverless cars but far more profitable. But some are put off by the company's exposure to making mechanical systems for combustion engines, a business that generates cash for now, but might not be needed if we all start driving around in electric cars. While the firm is also involved in EV components, shareholders are concerned cash-strapped automakers will drive a hard bargain. The stock trades on 16 times estimated earnings, which isn't too bad when compared with Germany's automakers. BMW, a top customer, is stuck on 8 times forward earnings. Yet, comparable suppliers with less complicated investment cases fetch more: Finnish tire supplier Nokian Renkaat Oyj trades on 21 times forward earnings, similar to Pirelli, which went public last year. And then there's Mobileye, another maker of systems for driverless cars, which was bought by Intel last year for more than 100 times Ebitda. At the very least, there's a case for Continental considering a separate listing for the tire business. Other spinoffs are conceivable: the Conti Tech unit makes conveyor belts for the mining industry, a business that isn't a natural fit with electronic vehicle display systems. Still, it might be prudent for Continental's minority shareholders to avoid getting too excited. 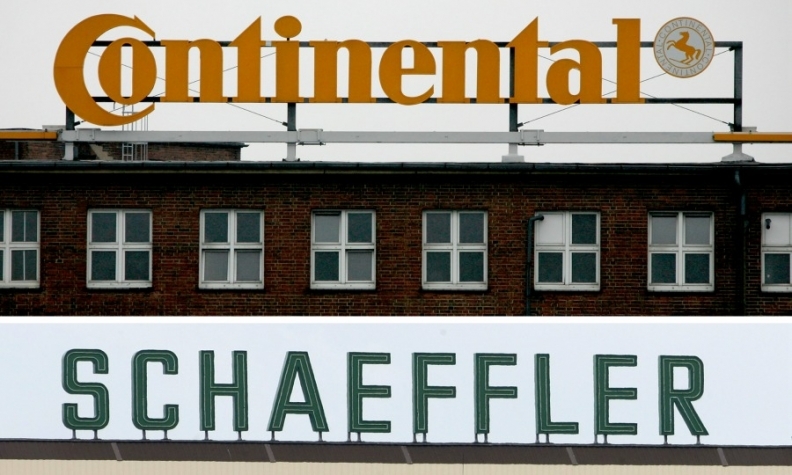 The billionaire Schaeffler family, which controls almost half of Continental's stock, got badly burned when it first acquired the stake in 2008. The experience will doubtless have left them suspicious of radical maneuvers. The steady stream of cash Continental generates from tires must be comforting when your powertrain business is facing massive technological upheaval. Even so, that Continental is even considering doing the splits is a welcome sign.